Finished with an amazing ganache, this Best Fudgy Chocolate Cake is coming at you just in time for your Easter feast! A good chocolate cake recipe is so hard to come by, just like a good brownie recipe. There are always high hopes and promises of what you’re looking for, but the delivery can be opposite and sometimes less than what you’re craving. While I’ve tried so many chocolate cakes over the years, and failed following so many different recipes, it was time to take matters into my own hands and come up with the best chocolate cake we’ve ever had. That’s a HUGE call to make, I know. As a result…this one takes the cake. Just the same as these Best Fudgy Cocoa Brownies, I wanted FUDGY, but being a cake, I wanted FLUFFY — and MOST OF ALL I wanted uncomplicated steps. 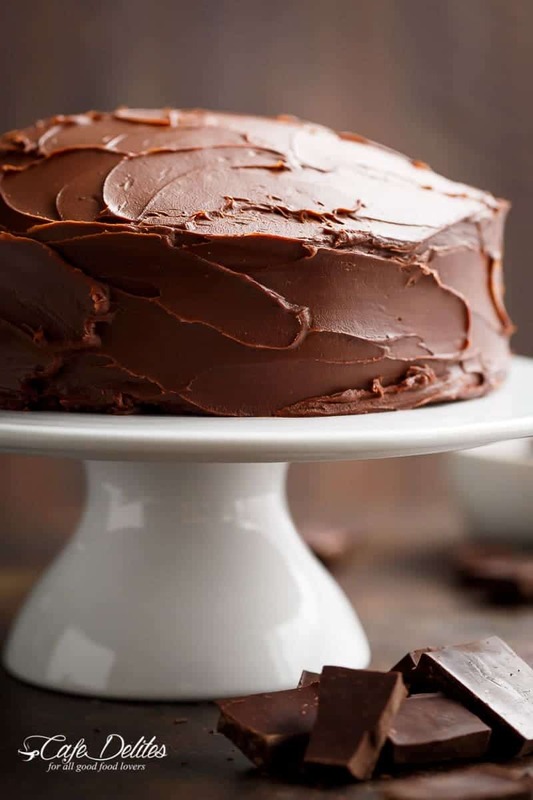 No melted butter combined with an abundance of chocolate; melted on the stove in a pot, then a dry mix combined in one bowl and a wet mix combined in another bowl, and a headache plus 2 pain killers and a bottle of vino later…..a cake is born. This one is different. One bowl. No beaters or kitchen aids and zero sifters or pans. Just a humble bowl and a wooden spoon. No pain killers or wine needed. This fudgy chocolate cake took many MANY batches to perfect the right balance of flour, oil, cocoa powder and baking powder. Finally I did it. Look at THAT! ⬇ SUPER fudgy and MOIST! We almost loved this fudgy chocolate cake as much as (or the same as) those brownies. I said, almost. The most perfect ganache using ONLY a small saucepan to make it. No separate bowls or metal bowls, or whatever. So uncomplicated, you won’t believe it until you try it. It’s a matter of heating cream > adding in the chocolate chips > waiting for it to melt > stir > done. Even the laziest person could pull this cake off. Me, being the laziest person. 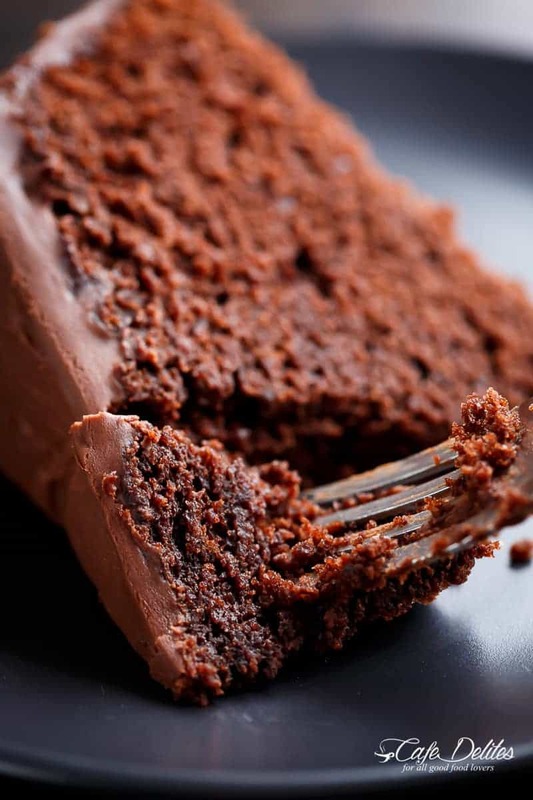 I know this is an all out decadent recipe, BUT this cake uses only half the amount of oil usually found in chocolate cakes, less flour, no butter, while keeping a maximum rich chocolate flavour. Also, a sugar substitute can be used such as a natural granulated sweetener that measures 1:1 with sugar to reduce calorie count. The easiest, MOST amazing, and BEST chocolate cake, using simple ingredients and little time and effort to pull together. The batter is watery when you first mix it together, but it’s meant to be that way. That’s where the fudge-like texture comes in! I use a dark, unsweetened cocoa powder for maximum chocolate richness. You can use Hershey’s Unsweetened Cocoa powder if you wish. 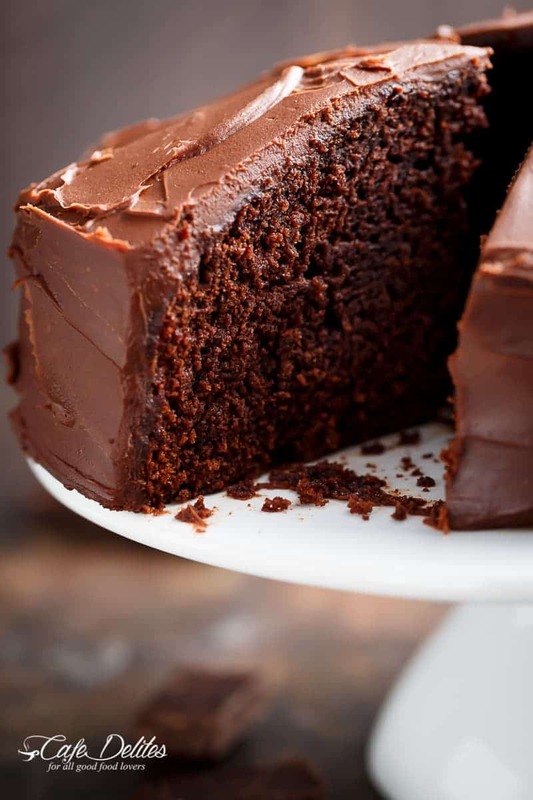 Remember: the darker the cocoa powder, the richer and darker the cake. Do not substitute the oil for melted butter. You can use full fat milk, reduced fat milk, 2% or skim. You can even use buttermilk, or make your own (3/4 cup milk mixed with 2 teaspoons white vinegar before doing anything else to allow the milk time to sour). The coffee in this recipe CAN NOT be tasted, but allows a rich chocolate taste to shine right through. Please try not to over bake it as that will dry out this cake. Check it after 30 minutes with a toothpick inserted into the centre. If too much batter sticks to the toothpick, continue baking for another 10 minutes and check again. Our cake baked at exactly 45 minutes, and the toothpick was a little dirty when it came out. THIS is the result you will be looking for if you’re wanting a moist texture. 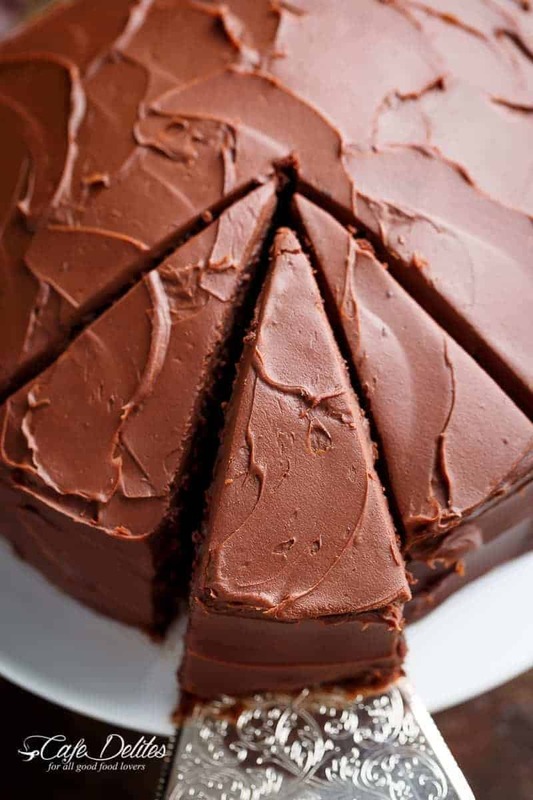 Make the chocolate ganache as soon as the cake comes out of the oven. It will be ready and firm enough to spread by the time the cake has cooled down completely. An ORIGINAL Cafe Delites RECIPE! Preheat oven to 350º F (175°C). Lightly grease an 8-inch round cake pan with non stick cooking oil spraying. Combine flour, sugar, cocoa powder, baking powder and salt in a large bowl. Whisk thoroughly to combine well. Add oil, egg, vanilla and milk to the flour mixture and beat well to combine. Pour in the boiling water (with the coffee), and mix until glossy. Pour the cake batter into the prepared pan. Bake for about 40 - 45 minutes, until a toothpick inserted in the centre of the chocolate cake comes out semi-clean with small amount of cake (not runny batter) on it due to the fudgy texture. Pour the cream into a small saucepan and heat over low heat for a few minutes. Watch that it doesn't boil or simmer it. Once the cream is hot, turn stove off and take the saucepan off the heat. Add in the chocolate chips; cover saucepan with a lid and let sit for a good 5 minutes to soften and melt the chocolate. Uncover, and stir slowly first, with a spatula or wooden spoon, gradually mixing faster until ganache is smooth, creamy and glossy. Refrigerate for one hour or hour and a half until thick enough to spread (similar consistency to Nutella). Spread evenly over the cake. *For a fluffier cake, use 2 teaspoons baking powder. For a fudgier cake, use 1 1/4 teaspoons baking powder. Best Fudgy Chocolate Cake has been adapted from the chocolate cake component of THIS RECIPE, swapping out butter for oil for texture. Morning, made your chocolate cake for mothersday, went down a treat. Had 2little helpers. A no fuss and all in one bowl. Hi! This cake sounds amazing. I have a fan oven, so I assume I’d need to reduce the temperature from 175 C to about 160 C? I baked this cake at 120 degrees Celsius and therefore my cooking time was longer(60 minutes) instead of 45 . I love all your great recipes. I find it difficult to keep up with all the new ones! Can I use half n half in place of the cream for the ganache? I wonder if it would set up? I just may have to try it and see. Hi. Msde this cake it was soooo good. I want to make it for xmas as a chance from xmas pud. How long does this cake last? In the fridge? And can it go in the freezer? And if so for how long? Has anyone got the measurements for grams and ml? Hi Emma. I will work on it right now for you! Hi Karina! 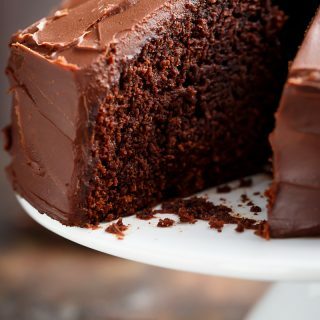 I just made this today, and it is soooo moist and sooo gooood! Haha Michelle that’s awesome! Thank you for the laugh! Amazing recipe, wonderfully easy and very decadent! Hi, I’ve used this recipe a few times to rave reviews. I was wondering if you’ve made this successfully with store bought gluten free flour and had success? I’m also wondering if there’s a possibility o f making it vegan by replacing the egg with a substitute of some kind. I often bake for church and there are several people who are vegan and some eco are gluten free. It would be amazing to be able to make a cake everyone a cake they can enjoy! That may be ambitious though! Especially for a large cake serving between 50-100 even with small slices! Any help would be amazing but no worries if you don’t know! I had the same issue as a few of the other ladies who commented. My batter was super watery, and once in the oven, it overflowed out of the cake pan. When I took it out of the oven, and it cooled, the cake was dense. I used it as a trifle so as not to throw it away. Also, my frosting never set up.. Maybe I used too much cream? I will try the recipe again and measure the flour since I noticed in the comments that there was a gram measurement listed. Hopefully I’ll have better luck since so many have commented about how great the cake is ?? I have this in my oven right now! I’m excited for it to be ready so I can try it! Sending you a virtual hug for this recipe … seriously its SO GOOD and so simple !! I thought I was doing something wrong because the batter was reaaaally watery and I didn’t like the idea of adding boiling water with the eggs… but I followed every step and turned out BEAUTIFULLY !! A big thank you for sharing! I needed a chocolate fix so googled easy chocolate cake recipes and found this. Had everything on hand except the chocolate chips which I just omitted making frosting and omg this was absolutely amazing! So moist so indulgent I was surprised that I can cook something so good(Had to pat myself on the back)! Kids loved it, hubby loved it and it’s now a booked marked recipe I will be coming to again and again. Thank you for this fool proof recipe! I couldn’t praise it enough! Hi! I want this make this recipe but I was wondering how you measured your flour? Did you spoon it in or take it straight out of the jar? Thanks! Thank you, Karina. This is a beautiful recipe-so easy. I made it just now for my friend’s birthday. That is great to hear! I am so glad that you love it and made it for your friend! Will the cake still be as tasty without the coffee? Yes, it will not alter the taste too much! The coffee gives a deep, rich chocolate taste plus adds a moist, spongy cake texture. Don’t usually do this but I had to come back on here just to say how AMAZING this recipie was, best chocolate cake I’ve ever made!! Thank you so much for sharing. I made this cake as the base for a Star Wars themed birthday cake for my nephew’s 6th. It went down a treat covered with fondant icing and all the decoration – a few children said it was the best birthday cake they had ever tasted, high praise indeed! 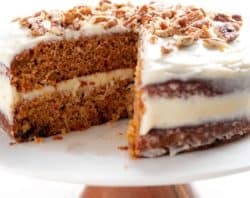 I am making it again for my own party and have a few friends in attendance who are gluten intolerant – would it be possible to substitute the flour with ground almonds as the cake does not get much of a rise anyway? I wondered if anyone alse had tried this out and could give me any tips? Hi there. Like Hazel from last years comments I’v had some problems with the cake. After adding 3/4 cup of coffee my batter was too watery and even though iv baked watery batters before this cake just kind of shrunk and condensed into a slab. Some batter leaked out but that still doesn’t explain the lack of rise in the cake its about half the height of yours in the picture. It still tastes really good so il use it in a trifle but I really need to get this cake right. Il watch the video in case there is something u missed. I really hope you respond because Hazels comment has so far gone unanswered. Like my prayers for the perfect chocolate cake. I tried the recipe and I had the exact same problem. My cake didn’t rise at all and I followed every step to the T. Will watch the video too and see if I missed anything. Hi. Can I use organic cacao powder instead of unsweetened cocoa powder as I have only found out now that I have cacao powder instead of cocoa. Never knew it’s a bit different. Thanks. Made this yesterday, but the cake wasn’t how I expected it. It turned out very dense and not fluffy at all. I love the flavour and simplicity tho, but could you please tell me why could this happen? HMMM! I am not sure what happened or why it would change consistency like that. I am sorry that they didn’t turn out for you. Sometimes it is just a minor thing when baking. Thanks for following along with me! 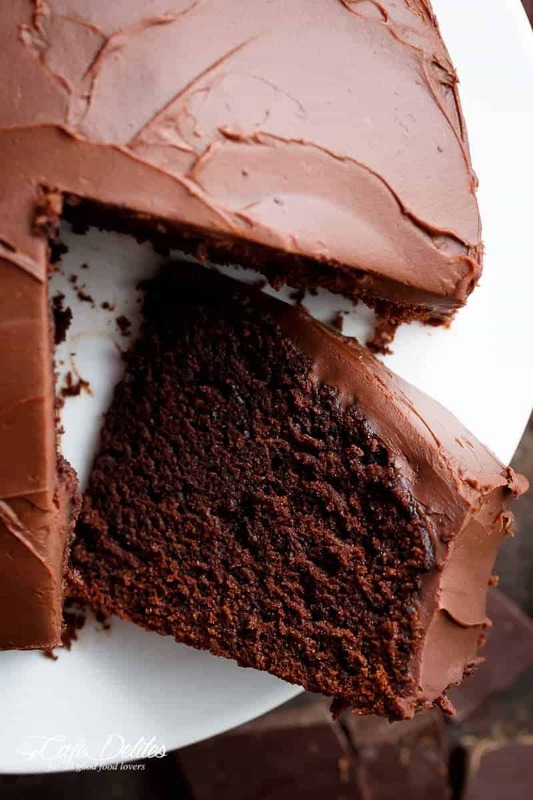 This has now become my “go to” chocolate cake recipe! 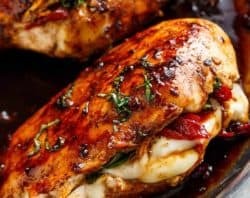 I did not modify or change recipe and my husband and I were both shocked at the simplicity of prep, ingredients and taste. Your a genius! I tried it but replaced milk with yogurt, reduced half cup of sugar (Asian usually eats less sweet. MY friends love it! Thank you for sharing the recipe! This is indeed a wonderful chocolate cake. I made it just now and had a slice. It is so good it will work without the ganache. Best of all the recipe was so easy that I could make it in the snap of a finger. Thank you. Can i used 3 6 inch pan?? I am going to try out this recipe soon. Before that , I need your professional advice. 1. Can I use caster sugar instead of granulated sugar ? 2. Can I reduce the sugar to one cup only? 3. Can I use olive oil ? 4. Some recipe use bikarbonate soda, but in yours. Any difference ? HI! You are welcome to make any of these adjustments that you are needing. It may change or alter the taste and/or texture of the cake. Also, in the way it bakes and sets up. Hope it turns out just how you want and like! Enjoy! Hi Karina, is it possible to make this cake in a 9-inch round pan instead of an 8-inch one? How long should I bake it for? Or would it be too thin? Yes, you are welcome to try it in the 9 inch round. It will be thinner but still tastes just as good. You will want to decrease the timing on how long you bake it for. Enjoy your cake! Thank you so much for this recipe! I’ve been so disappointed with past attempts at a good chocolate cake. This one is so moist! I made one last weekend as a practice run for my grandsons birthday,without the ganache. I purposely (with difficulty! )left a portion in my cake tin for several days and it was still yummee! I’m now making two for a taller cake. I have substituted self raising flour for plain flour to make it a slightly lighter texture and it is still incredibly moist. I see that another subscriber has used this recipe for cup cakes. Guess what I’m trying next! That sounds great! I am so glad that you found this recipe and that it turned out just how you like it! Thanks so much for sharing with me and following along with me! Can I use coconut oil or olive oil instead of vegetable oil ? Yes, of course! You are welcome to modify the recipe anyway you like to make it better for you! Thank you so much for following along with me! This recipe is amazing! I always use it for cupcakes and they come out great. Thanks for sharing. Hi, thanks for sharing this recipe with us. 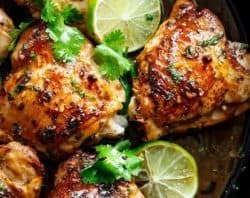 I’m planning on making it this weekend and wanted to ask if it would be ok to substitute the oil for coconut oil instead? Yes, of course! That sounds great! Let me know how it turns out! Yes, that is a great idea! Either way is good but the day you are serving it may hold longer and better. Enjoy your cake! Thanks so much for this recipe! Best chocolate cake ever! That is awesome to hear! I am so glad that it was a hit and you could reduce the sugar! Thanks so much for sharing! Great to come across your website on this fudgy chocolate cake. Will like to seek some advise from you. 1 Can I use cake flour instead of all-purpose or plain flour? 2 Can I use dark chocolate break in pieces and melt them instead of using cocoa powder? If can replace with the dark chocolate please kindly advise how much should I use. I am so glad you did too!! That is great to hear you are starting off with a popular recipe that you will love!! 2. Yes, of course! It may have a different texture and/or taste with the melted chocolate. It will also have a more gooey and runny look. You will have to experiement with the dark chocoalte pieces. It sounds delicious and super rich! I am excited to hear all about it! I hope you love it and it turns out for you! Thanks so much for following along with me! This is THE best chocolate cake I have ever made! The family love is and have already put in an order for next week! YAY! That is awesome and so great to hear! Thanks so much for sharing! To make into a double stack I doubled the mixture! It has turned out great can’t wait to give it to my friend for her birthday!! That is perfect! I am so glad that it turned out so great for her birthday! Thanks for letting me know! It doesn´t look as the picture maybe because I used cold milk and a 9 inch round cake pan. The chocolate Ganache had a delicious taste but it was very “liquid” because I used a soft cream . I will try it again soon. Please would you convert the recipe to metric measurements, as I only have scales not cups. I always like to use an online conversion calculator you can find by googling or if you have a favorite one that is always a great go-to when baking. Thanks so much for choosing this cake! You will love it! Hello!! Thank u very much for this, i’ve made this recipe like 10 times and it’s always delicious and people love it everytime! Absolutley amazing, there’s not a single mistake. Fluffy and moist at the same time. Do you have to use coffee? I don’t like coffee but this cake looks incredible! Or if I put coffee in would I be able to taste it? In this cake the coffee is more to add flavor, darkness and richness. You don’t taste the coffee in it but you are welcome to leave the coffee out. Hope that helps answer your questions! Hi, I followed your recipe. Made it for Valentine’s Day. My cake was super yummy. Thanks!!! That is a great Valentines Day dessert! I am glad that is worked out and you had a great day! 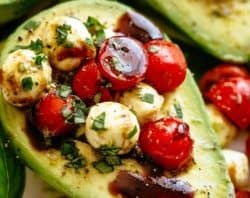 Can Almond Milk be used in this recipe? You are always welcome to substitute any ingredient but it may alter the cake texture and taste. Let me know how it turns out! I used an 8 inch round cake pan. I think the pictures make it looker higher or the frosting on top and on the sides. It is totally worth making! You will not regret it;)!! Happy second birthday to your twins! What a great mum you are to make a delicious cake for them! Enjoy your cake! Thanks for sharing! Can u please tell me how much is 1 cup in grams? Just wondering how many days this cake can last before being eaten? I want to make it for my mum’s birthday but will only have time 2 days in advance! Will it keep for that long if I refrigerate it? Yes, of course! Keep it in the fridge or freezer and it should be great in 2 days. That would be the max though. Are you able to not eat it for 2 days;)? That is the main question;)!! If i added two eggs instead of one what would it do to the mixture? Really yummy!! I made it tonight and it was so delicious and beautiful. Keep sharing such a nice recipe in future. Hy! Can you please tell me if I can freeze this cake. I want to make it for a friend, but I am not in town the day she needs it. Thank you so much. Hi Raluca. I haven’t personally tried freezing this cake after baking, but I can imagine it would be fine. Can this be made the day before,and stored in the frig? – could I use three six inch pans instead of one 8 inch pan for the exact same ingredient measurementsmentioned above? If yes, any idea of the baking time and temperature? – can I use other forms of frosting in the future, Oreo based/ Nutella … would it compliment the cake ? Hi Laila! I can’t say as I’ve only ever tried it in the 8-inch pan. I don’t feel you’ll have enough batter to put into two pans, but maybe one of our readers have tried this and can Gove you their feedback 🙂 You can definitely try it with other frosting options! Your choices sound delicious! This is good, too good! I made it as an afternoon tea snack for my kids but I’m not sure it’ll last that long. It is so yummy. I made it using gluten free flour so my daughter could eat it and I only had vanilla essence not extract. My biggest surprise was the coffee… can’t taste it at all! I’m not a coffee fan, detest the stuff, so I was wary of adding it. I’m so glad I did. This cake is amazing. Thank you! Skye THANK YOU for providing your feedback! I’m so happy to hear you’re loving this cake. It’s our favourite now and makes its way into my kitchen every Sunday haha! Also, thank you for writing about gluten free flour. A few readers ask me about this substitution, and now they can make it knowing it works! You’re very welcome Shelley! I’m so happy to hear you loved this cake. It’s definitely a dangerous one to have around! As in, I could eat the whole thing when no one is looking haha. Thank you so much for sharing your feedback! Can I use Hershey’s special dark cocoa powder? Thanks so much for this recipe! Is awesome and super Easy! It’s truly amazing and at the same time quite simple . I am looking forward to trying this recipe. Like you I have searched for the perfect chocolate cake. 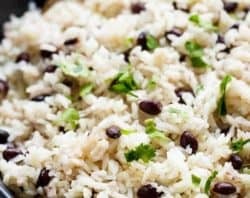 Are you able to give metric measurements for this recipe as I live in the UK. I have tried conversion sites on the internet but they varying wildly. Hi just wondering if there is a substitute for the coffee ?? Loved this recipe. I used Nespresso coffee instead of instant (I don`t use instant coffee). The ganache was a little soft after 2 hrs in fridge, but it still worked. Just made this cake today.. it’s the best chocolate cake i have ever made or tasted!! Everyone loved it.. sooooo fudgy and yummy! Thanks for the recipe! My cake seemed to have shrinked ! After adding the hot water 3/4 or here i uk 180ml) and coffee consistency was too watery and so mixture leaked in oven. I used electric whisk throughout. Any idea why cake shrunk and mixture was leaking despute following the recope, albeit jn UK Measuremenrs. About to make the ganache. Hi Karina can I use regular brown sugar? Hi Karina, can I use coconut sugar in place of granulated sugar? 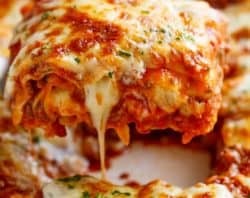 Just wondering if anyone has tried making it in advance and/or freezing it? Hi, Can I use a cup of 3/4 brewd coffee instead of the water and coffee? I don’t drink instant coffee n we always make a fresh pot of coffee every morning. I hate to waste money on a jar of instant coffee that I really won’t use that often. Please advise thank you as I would like to make this cake it sounds so delicious!! I’m also addicted to chocolate but can I say! Hello Karina! I really want to make this cake but I am using gr and ml measurements. How much is 1 cup when we convert to gram and mililiter? Can you help me? The first time I made this, I cooked it just a smidge too long. I made this yesterday, and took it out at EXACTLY 40 minutes, and baby, this cake is KILLER! I used a bittersweet chocolate for the ganache. When company comes, I will make this into a layer cake using my cake strips on the pans to prevent the “dome” effect. I love the detail you shared in this recipe. Your effects really helped to make the cake a success. Hi! I really want to make this cake soon….and as you say measurements are so important! How are you measuring the flour, dip and sweep or fluff and spoon, or better yet how much by weight? Thanks! Looks like a tremendous recipe. 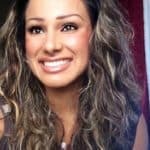 Hi Smita. I measure flour by scooping it out of the container or bag, and pouring it into my measuring cups, then levelling it off with the back of a knife. Pretty old school but it’s the best way to get the perfect measurement for those of us without kitchen scales! I made the BEST FUDGY CHOCOLATE CAKe today. I tripled the recipe and got an 8″square and 8″round and a 12″round. They came out of the pan perfect and look beautiful with the ganache. The 12 ” round will go to church for Pastor apperciation dinner after church, someone who loves chocolate is going to be very surprised and pleased with this cake. Hi! I really want to try this! I was wondering what brand chocolate you use for your ganache. I am always looking for new brands to try. I haven’t found “the one” yet. Awesome! It was the perfect cake for our anniversary! Chocolatey and fudgy and moist! Really, really super amazing! Thanks, Karina! Can I use 3/4 cup brewed coffee instead of the boiling water with instant? Hi Marie! Yes that’s fine! Made the cake yesterday though I turned it into cupcakes and mini cakes. Delicious. Very easy frosting too. 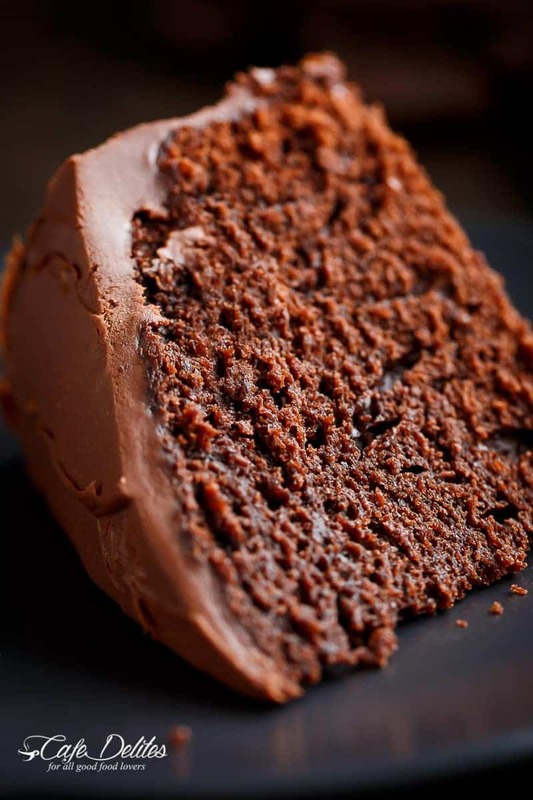 I have tried this cake and it’s as wonderfully fudgy and moist as you said! I made it without the ganache, though. So now I’m planning to make one with the ganache for Mother’s day dinner this coming Sunday. Just a quick question, in your pictures, the ganache looks thick enough to be piped into rosettes. Have you ever tried it? I can’t wait to make this cake for my nieces. Have you tried this as cupcakes? I assume just less time in the oven so they don’t dry out? Hi Carol! No I haven’t but I’d say they’d be baked at around the 20-30 minute mark! Made it and loved it! The cake looks just like the photos. One of your subscribers, Monica asked if she could use espresso powder…I did and I thought it turned out great. So delicious and perfect for every occasion. Another amazing recipe! You really have a gift when it comes to food! I can’t wait to try this! So sorry to hear about your cancer! I am a Stage 4 uterine cervical lymphoid cancer patient! I would like to get your chocolate cake recipe if you do not mind. I am also on dialysis 3xa week. I will be praying that things go well for you! Take care sister!!! My stars didn’t go through! I’m trying gain because this cake is worth TEN if I could! Hi Monica! I would start with 1/2 a teaspoon and go from there! If it’s too mild when you brew it, maybe add another 1/2 teaspoon. It shouldn’t be too strong, but definitely not weak! I hope I helped! Looks amazing, will definitely try this! I have another larger cake recipe that also includes cocoa, oil and coffee and it is my favorite but it makes a huge cake. Ah yes! Most recipes call for two to three layers, and it’s just too much sometimes as a dessert after a big dinner! This one is just right 😉 I hope you like it Mich!